Sorry for the delay. I put this off because I was preoccupied with some other things, and simply because I didn't know what to write about. This episode concludes the Chinchiro Arc and begins the next one, the Bog Arc. Many manly tears are shed, by quite a few people, which seems more characteristic of the first season. 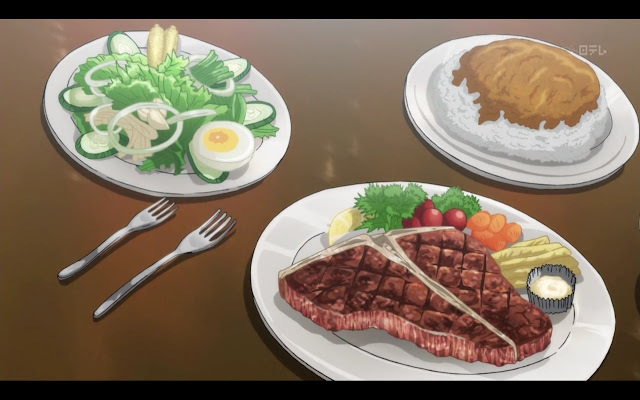 It turns out that Kaiji made his special die from the t-bone steak and using his own blood for the red dots. This seriously takes some dedication. Kaiji mentions that he did this in the bathroom, which I'm sure that he didn't get to spend much time in, given the harsh conditions of Teiai's underground. That, and the fact that it was probably very difficult to carve the bone into the fitting cubes he wanted. This must have been a gradual and tedious process. The other 45s decide to trust Kaiji with the money they won to help them pay their debts. Clearly, Kaiji has the best chance of actually winning anything in the outside world. These guys just happened to be lucky enough that Kaiji needed their help to take down Ohtsuki. 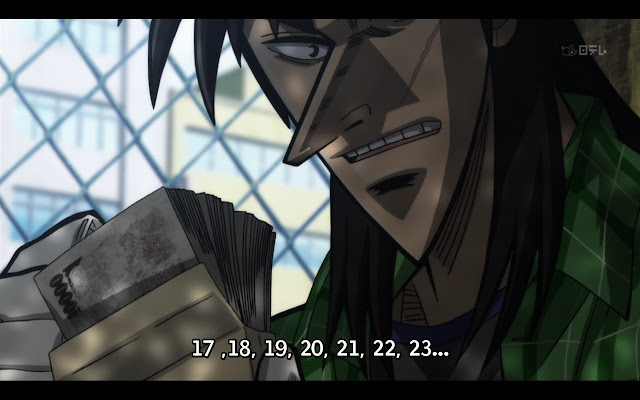 Now, Kaiji has twenty days to turn 800k yen into sixty million in order to pay off all their debts. 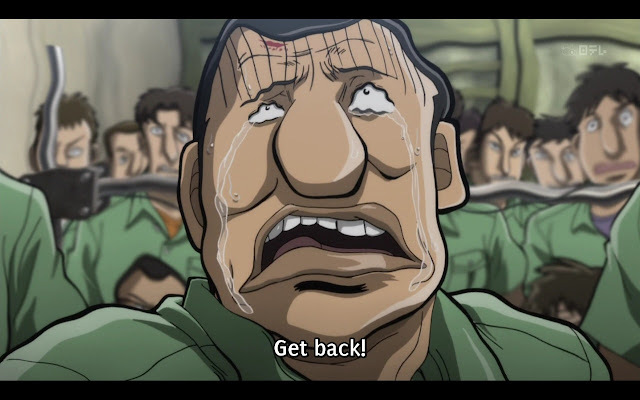 This scene just reminds me of how far Kaiji has come since the first season. I remember him despairing after getting scammed of two stars in that high stakes game of rock-paper-scissors. Kaiji is easily able to get himself out of trouble in the streets when he needs to do so. 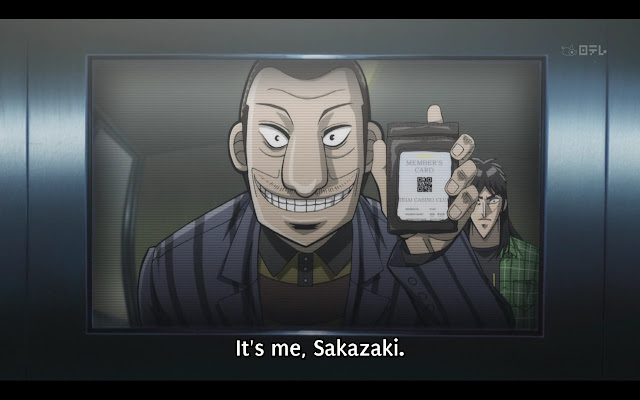 We are then introduced to the character Sakazaki, who enlists Kaiji's help to win some big money. 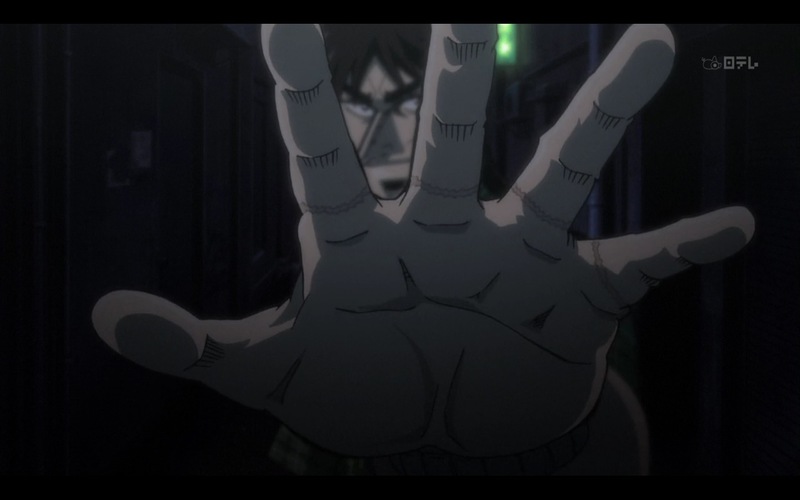 Of course, I feel that he is a shady character that Kaiji should be wary of trusting. However, Kaiji, being the honest guy that he is, will probably get scammed during this arc. They arrive at an illegal casino known for its high stakes pachinko. 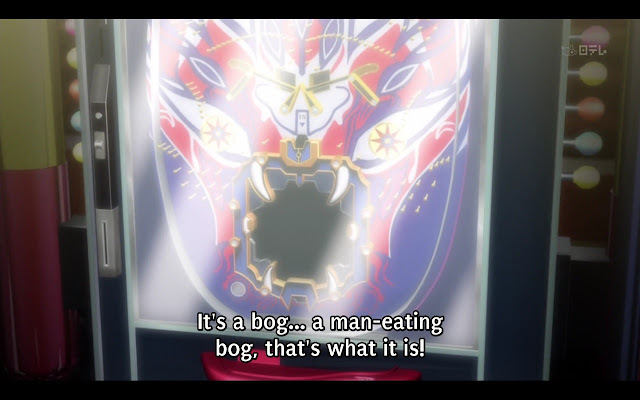 The star of the show is this pachinko machine called "The Bog," which costs 4k yen per ball. The jackpot is currently sitting at a hefty 500 million yen, which of course will pull in Kaiji like a magnet. Undoubtedly, this machine is rigged, so it will be interesting to see what kind of tricks Kaiji will come up with to beat this machine. However, I expect the next episode or two to be about Kaiji lamenting about the how bog ate his money. Thus will begin the epic bout between man and machine. Side note: I might skip posts for an episode or two during this arc if it moves too slow because there might not be much to write about. Edit: I think I'll stop blogging about this and just write an overall impressions when this ends.